An ENLIVENING blend of SICILIAN LEMON, MYRTLE and LIME essential oils used for their particularly invigorating, fresh notes with replenishing Shea Butter, Pomegranate and Rose Hip. Revitalises, Refreshes, Protects. 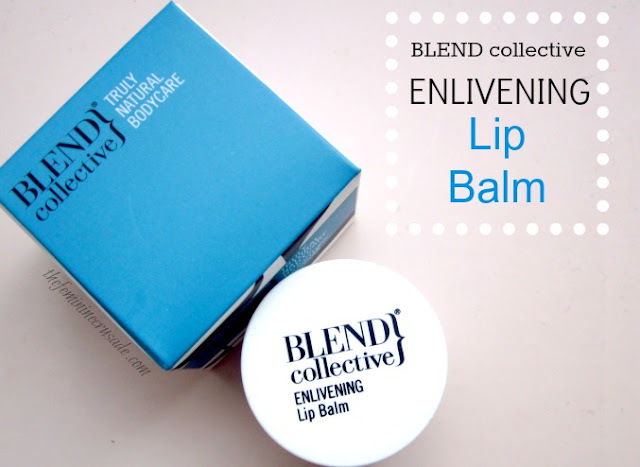 The Blend Collective Enlivening Lip Balm comes in a tiny white pot with a lid for the lip balm inside besides the top itself. It contains 10g of product. Considering EOS Lip Balm is my least favourite one, I am a hard person to please when it comes to lip balms. I don’t know is it me or my lips, but I find very few lip balms hydrating enough for me. 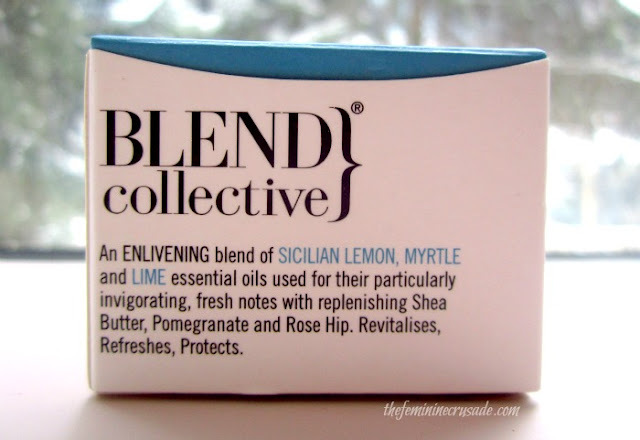 Blend Collective is a British natural body care brand with three collections to their name right now. They blend high quality natural ingredients and essential oils to make their final product free from any silicone, parabens, sulphate or any chemical not good for the skin. This lip balm is part of their Enlivening Collection with main ingredients of sicilian lemon, myrtle and lime. I find the packaging of all three ranges very appealing. The products have a very crisp vibe to them. They have a colour code for each range and blue is used for this particular collection. I would give them an all ten just for how they have made their products look. 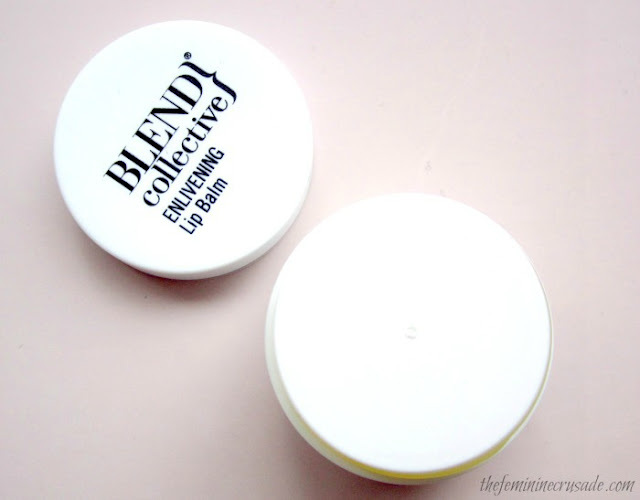 I have seen Tattooed Tealady mention this lip balm in her Winter Lip Saviours post here so I was super excited to try this out. If you guys don’t know already, know it now I have a major obsession with collecting lip balms. Unfortunately and quite sadly for my high dreams, the lip balm did not make my favourites list. We have a very dry weather here and my lips seldom behave nice. 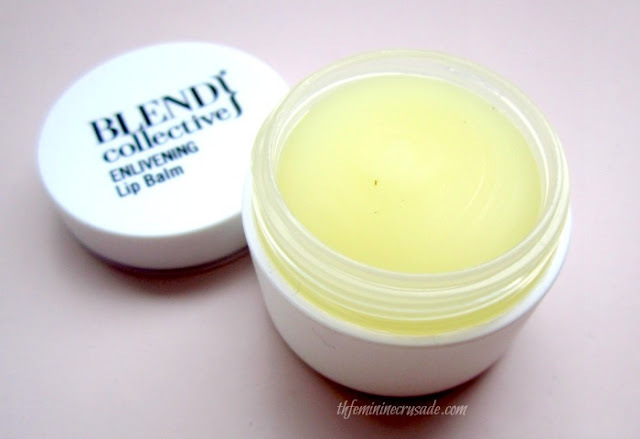 Whenever I have applied this lip balm, it does not penetrate the deep layers of my lips. It is not waxy but it just sits on the top. I keep pressing my lips together, licking, as you do when you want moisture. It kinda feels like the un-flavoured version of Vaseline. It doesn’t do much for my lips, my good lip balms last hours, but I keep having the urge to reapply this every half hour. It has a strong sicilian lemon scent, which some may love and some not; I am still undecided. Also, I also don’t like, which is my personal preference only, that the lip balm comes in a pot. I simply am impatient when it comes to sticking fingers in pots. Not because of hygienic reasons, but because, one, I feel icky, and two, I get impatient. Though, unlike Vaseline it has a very hard surface like a chapstick. It doesn’t make a difference, because I still apply with a finger, but this something better than dipping fingers in gooey Vaseline and TBS Born Lippies. 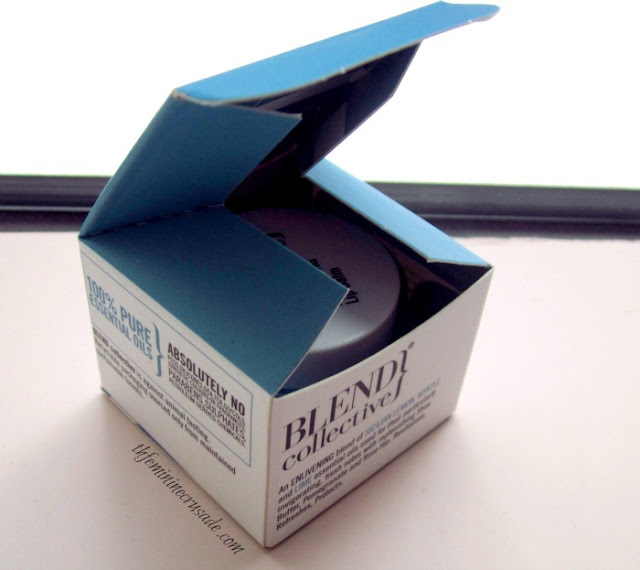 If you are into buying products just for the packaging, and how cool they make your vanity table look (which I am sometimes guilty of) then you might need this in your life! But if you have troubled (is that even a term?) lips like mine you might wanna pass.